Despite still being under development, Sinespace is a pretty remarkable and brand-new virtual world game where you can literally be anyone you like, create anything you like, and explore anywhere you like! Setting itself as a direct competitor of Second Life, this game has so much more to offer and at creator-friendly way too. After signing up and booting up the game, you’ll be dropped into the Welcome Center world where, if you’re lucky, an actual guide would be present to go through all the exciting events they have lined up for the week and also to answer your questions. If not, you can still use the chatting system to communicate with other players and perhaps make some friends. Moving around in this game is fairly straightforward. You can use WASD to walk around, press Shift to run, and spacebar to jump. You can fly in this game as well – just press F, but you cannot swim in this game. Now, before moving on to checking out other worlds (via the Explore button at the bottom), you might want to take a look to see if you can find “mining nodes” that are hidden around the place. These items are miniaturized versions of objects, such as a stack of gold bar, an anchor or a pumpkin, and not an actual mining node. By finding these hidden items, you can get 100 silvers for free. You can even click on these items every 20 mins to collect free silvers. Silvers are Sinespace’s virtual currency and as such, you’ll need it to buy stuff later down the road, be it clothes or furniture. There aren’t as many items as in Second Life – since the game is really new and all – but whatever that is available can be accessed via the Shop. Here, you can buy items using your Silvers or you can also spend Gold (premium currency). You can bid on items at the Auction too. Note that although most items let you choose whether to purchase it using Silver or Gold, there are still premium items that can only be bought using Gold. With your 30k starting cash, you should be able to grab a ton of items, and maybe even a new template, for your space. However, there isn’t a lot of ways for you to earn some silvers at the moment. Hold on… what is a “space”? Well, it is basically the virtual world that you’re given when you first signed up. Every player will have their own “space”. You can place whatever you like in your own space, but there’s a limit when it comes to size. You see, every item you place has a “file size” and your space will only be able to host up to 128MB by default. To put more items in your space, you’ll then need to spend real cash to expand the size limit. Editing your space (a.k.a. 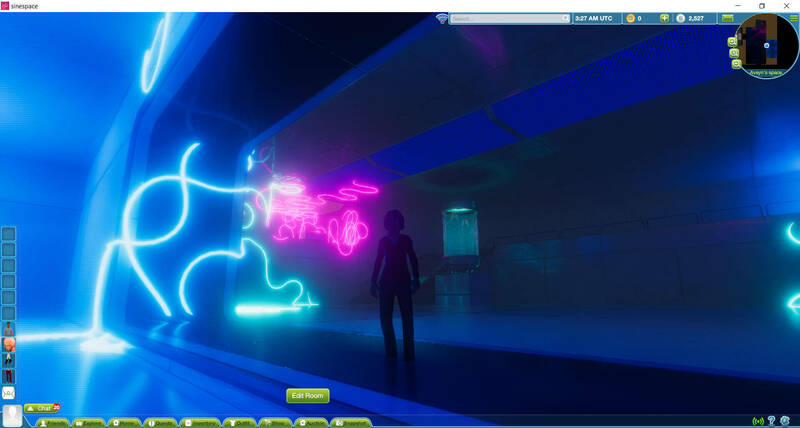 room) isn’t very difficult in Sinespace, especially if you have any experience designing your world in Second Life. There are many options available and you can switch the camera view as needed. Clothes you bought can also be easily worn simply by opening up your inventory, clicking on the item you want to wear to put it into your hot bar, and then clicking on the item on your hot bar. You can even click on your avatar to view your character as you change his/her outfits. The game has a strict separation of male and female outfits, however, since outfits are designed for one gender or the other but not both. This is primarily due to how the game system is set up. Last but not least, Sinespace is a very friendly game for content creators. Not only it is free, creators will almost have unlimited resources to do so and on a platform (Unity3D) that’s as good as it gets. Granted that you’ll probably need to spend hours poring over the game’s documentation and tutorial videos on YouTube to creating something, all the effort you put in will be very well worth it. There are already a couple of creators on board and they have been busy making some items for players to use. In terms of graphics and sound, we find both to be really amazing for a game that’s still under development. The visuals are pretty stunning and if you do go world-hopping, you’ll probably see plenty of gorgeous worlds that the players have managed to create so far. Not every place has background music or items have sound effects, however. There are only a few downsides, which mainly involve the lack of proper collision mechanics at times (you can run through supposedly solid objects), and unrealistic motion such as when sitting down and then standing up – you seem to just teleport from the chair, but these aren’t major game-breaking issues and they (the collision issue) probably will get fixed before launch. 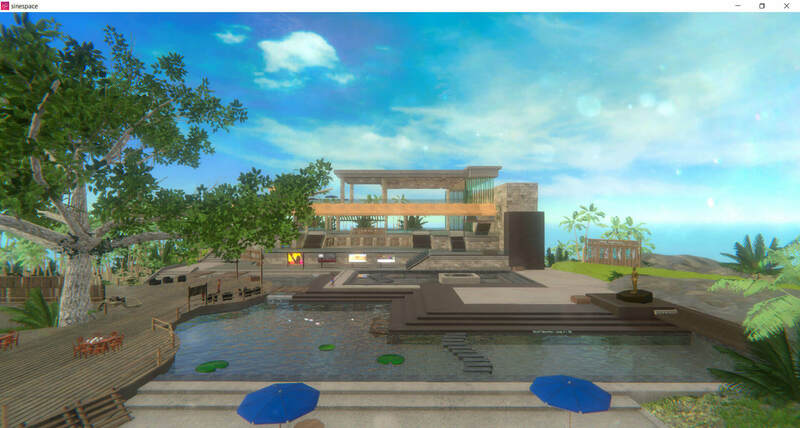 All in all, Sinespace is definitely a strong competitor to Second Life and IMVU especially once it’s fully fleshed out and launched. If you’re interested to get a head start, you can download the game now and start creating!